This is a guest blog post from Stephen Paton, Manager Insights AGL, who attended the recent MRMW Conference in Singapore. 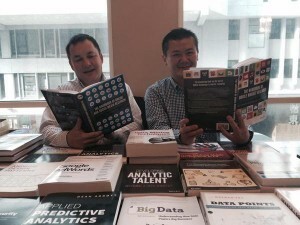 I was lucky enough to attend and present at the recent Merlien Institute’s Mobile Research Mobile World (MRMW) Asia Pacific conference in Singapore on March 10 -12 March. Singapore is a nice central place for an Asian conference and the venue at Grand Park City Hall was not only comfortable but close enough for me to do all the shopping I needed to do to keep the family happy on my return. The chance to visit Singapore is always attractive and obviously others agree with a large Aussie representation amongst the 17 countries represented from as far away as Europe, the UK and the USA. This being my first MRMW and not being very familiar with the format I arrived in the Lion City with no real expectations but hopeful of making new contacts, enjoying myself and learning something new. Let’s face it in this day and age we have so many options to learn at our desks when we make the commitment to attend a conference we need more than just the information. You come to a conference to connect, to share, for the informal discussion and of course enjoy yourself. For me conferences remain one of the great ways to take time out to reflect on the madness of day to day activities and from all these perspectives the MRMW delivered. Once the conference was underway my first impression came from the crowd which features a lot of young faces (great news for our profession) and the many clients in attendance (40% of delegates were client side). This conference is smaller than the others I have attended but with only one presentation track I was saved from the always troubling question of which presentation to see next and which one am I going to miss out on. Other noticeable differences was the lack of the “Bigger” research suppliers with none of the larger regional suppliers visible and the lack of the more ‘celebrity’ key note speakers. So in this way the conference felt quite cozy and relaxed and I could listen to the various presentations. Overall the quality of the conference and the speakers was high. So on to the presentations, of which no surprise many were excited with the growth in mobile use across the region, with a range of compelling figures to show this and future growth. On the subject of the move of research into the mobile domain, there were presentations showing the information collected matched that connected in other ways, good because we can replicate; while other presentations showed the information varied, good because we are reaching new and harder to reach respondents. In summary many of the mobile research presentations locked in on the potential to reach new audiences, the quicker turnarounds and the ability to improve data quality. All of this while saving costs against traditional methods. Combining the above with the necessity to redesign to fit the new platform, as recommended by other presentations and you essentially outline our learnings at AGL in our work with MDI, which formed the basis of our joint presentation and case study. So I left the conference with no doubt about the increasing importance and growth of mobile delivered research. While we have started this journey I know we have to move even faster. In addition to the mobile presentations many other topics got a run. There was discussion on gamification, passive data collection, Neuroscience and close to my own heart presentations citing Behavioural Economics principles. I particularly liked the presentation on implicit research techniques by Professor Gemma Calvert founder of the Institute of Asian Consumer Insight. Other highlights included “When Lies come back to haunt you” by Jasmeet Sethi from Ericcson ConsumerLab where he clearly showed the value of pricing research and new techniques to conduct this well. All too soon it was over. A big thanks to those at MRMW for putting together what was a worthwhile event. I came with no expectations but heading home my brain was already planning ways to test some of what I learnt and with a pocketful of new connections and warm memories. And after all isn’t this what conferences are all about? Thanks for sharing such a Interesting Post.